Which essential oil smells the best? There is no definitive answer to this question because we all like different smells or foods. Everyone has pleasant or unpleasant memories associated with different smells. Some individuals are very sensitive or even allergic to smells. It also depends on how you are intending to use the essential oils. 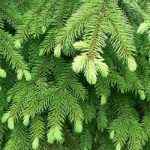 Diffusing pine tree or thyme oil is perfectly fine but using them as the perfume would be strange. When choosing best smelling essential oils don’t fall into a trap of buying more affordable “fragrance oils” or “natural fragrance oils“. 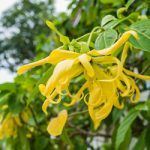 Fragrance oils vs essential oils – know the differences! Fragrance oils are not natural at all! They are chemically produced on an industrial scale for making soaps, candles, body deodorant sticks, cleaning products, etc. They are cheaper than essential oils and have no health benefits. Essential oils that are extracted by steam distillation without the use of solvents or other harsh chemicals are one hundred percent natural. These oils provide a wide range of health benefits confirmed by numerous scientific studies. Almost all essential oils have anti-bacterial properties. We know that bacteria causes the bad odor. Essential oils are actually killing bacteria eliminating the source of the bad smell. This is what “fragrance oils” can’t do – they are simply masking the bad odor. Remember that essential oils need to be diluted using carrier oils. Only a few essential oils are weak enough to be used on the skin straight up. Mixing essential oils with carrier oils helps to release smell for a much longer period of time since fast evaporation of the essential oils is delayed by non-evaporative carrier oil component. You can just add a few drops to your hair conditioner of shampoo or go the Eastern way and mix any of the best smelling essential oils with Amla oil, for example. Indians have been using Amla oil (Indian Gooseberry) for centuries for hair growth and health. During a flu season, diffusing essential oils helps in many aspects. Oils kill airborne bacteria, help with congestion, improve your mood, make you think more clearly. Keep in mind that the best smelling essential oils are not always the most effective for fighting flu or congestion. All top and reputable essential oils companies usually have a few lists of different essential oil combinations for various needs. 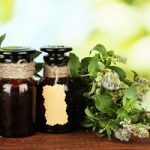 Although it seems like a good idea, making your own essential oil blends could be rather costly in the beginning. All top essential oils brands usually have professionally formulated proprietary blends that work wonderfully for the majority of their customers. On the other hand, experimenting with your own essential oil combinations can be fun and rewarding. All essential oils evaporate at different rates. Thus, they are sub-divided into 3 groups called “Notes”. Top note oils are the quickest to evaporate on average in 1-2 hours and the Base notes are the slowest taking up to a few days. Middle note oils may last around 2-4 hours. For the best essential oil combinations use 30-50-20 rule which suggests mixing 30% of Top note oils, 50% of Middle note oils and 20% of base note oils. Many top essential oils brands became extremely popular simply because of their marketing tricks and not the superior quality of the products. It happens in every niche and a lot of consumers fall into the trap of paying 4 times more for the same product sold in a bit different packaging with a “seal of quality”. Since essential oils are not much regulated in the US some quality standards used by essential oil companies here are pretty much made up. If there are no exact standards then how can we filter out the best essential oil companies in terms of quality, transparency, and affordability? Note, that is is not always better to have oils extracted from “organic” plants. Wild herbs often provide more potent extracts with a stronger fragrance. Naturally, they have to prove that wild-crafted herbs and plants a free from pesticides and other chemicals. 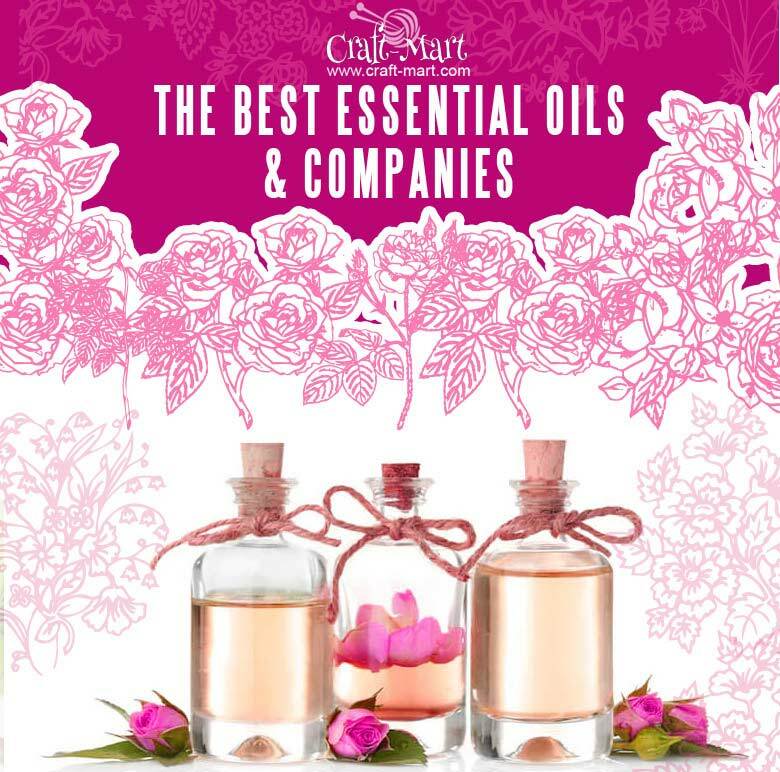 Here are the top essential oil companies that have the information mentioned above available on their websites or upon request. Our essential oils are first organoleptically tested by Robert Tisserand before being sent to a third party testing facility. Robert has been evaluating essential oils professionally for over 40 years. Even though we work with distillers and farmers who have repeatedly proven to provide excellent quality essential oils, when Plant Therapy claims that our oils are 100% pure and of the highest quality, we want to make sure that we are doing everything possible to guarantee that. 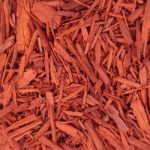 Plant Therapy has their toll-free number (+1-800-917-6577) listed on their website and offers a 100% money back guarantee for 90 days within purchase. You can return oils for a full refund for any reason. Plant Therapy is one of the most affordable places with a large essential oils selection of high quality and potency. We offer a 100% satisfaction guarantee that our products are always pure and potent. We support this guarantee by providing actual GC/MS test results free of charge through our website for every essential oil. Rocky Mountain Oils offers a 90-day no hassle 100% money back guarantee – even if your oils are opened! Rocky Mountain Oils is one of the most affordable places which offers very reasonably-priced essential oils with proof of quality. Our first choice when sourcing herbs are always certified organic. If organic isn’t available, we will choose an ethically wild-harvested or “cultivated without chemicals” option. Our guarantee to you is that if you wish to return products for any reason you may send them back to us postmarked within 60 days from the invoice date. Our oils are unadulterated, free of synthetics and entirely pure. EG is an eco-conscious company and we choose sustainable practices whenever possible from soil to bottle. Certificate of analysis, specifications, and MSDS are available upon request. If you’re not happy with their product, you have a 30 day no questions asked refund policy. Edens Garden offers really affordable top quality selection of essential oils . It is our belief that they must be 100% pure plant extracts… nothing added and nothing taken away. Gas Chromatography/ Mass Spectrometry (GC/MS) is the best way to assure the purity of an essential oil. All of our oils are batch specific tested. You can access the GCMS report for each oil on our website. However, some GC/MS reports are not on the site yet, simply because we haven’t entered the info yet. If there is a GC/MS that you need, please contact us and we will be happy to send it to you. If you just “testing waters” be prepared for 25% restocking and handling fee in case you are not happy with the product. If you’ll get damaged / incorrect goods ‘we will correct the mistake as soon as possible to your satisfaction.” No clear money back guarantee but no complaints either. Middle range pricing and potent quality oils make this company an attractive choice. Each doTERRA essential oil is also carefully and thoroughly tested using the strict CPTG* Certified Pure Therapeutic Grade® quality protocol. Experienced essential oil users will immediately recognize the superior quality standard for naturally safe, purely effective therapeutic-grade doTERRA essential oils. *CPTG – CERTIFIED PURE THERAPEUTIC GRADE is a trademark of DoTERRA Holdings, LLC. Filed on March 4 (2009) This term does not represent a quality that is any way tested or approved by any nationally recognized body or governance. If you’re not satisfied with your purchase, you can return it for a 100% refund or 100% product credit depending a little bit on timeline and whether you’ve opened the product or not. For people who will be willing to pay 3-4 times more for the same oils as some of the companies above sell, this is a good choice. 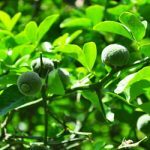 Neroli oil is an essential oil that can be produced from different parts of Citrus aurantium orange tree. The best and most expensive Neroli essential oil comes from the tree’s flowers. 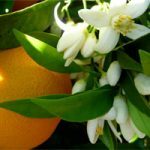 Neroli tree was brought to Europe by the crusaders in the 11th century and was named in honor of Anne Marie Orsini, the 17th century Princess of Nerola, a small town near Rome, who used it to scent her gloves. 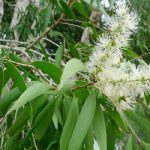 Niaouli (Melaleuca Viridiflora) oil is extracted through steam distillation of its fresh leaves and tender twigs. There are no known side effects. Niaouli oil is considered a safe oil since it is non-toxic. 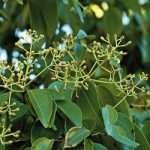 Niaouli oil has a very long history of uses and is still a popular ingredient in toothpaste and in mouth or bug sprays. Nutmeg essential oil is obtained by steam-distilling the dried kernels of the ripe seeds of the nutmeg. 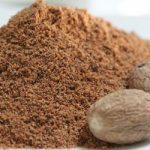 During the Elizabethan era, nutmeg oil was believed to be effective against the plague and gained great popularity, but with a high price as sellers took advantage of even the poorest by charging exorbitant prices for it. 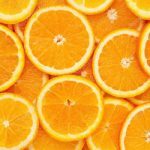 Orange essential oil is extracted from the fruit peels of sweet orange. D-Limonene is the most prominent active ingredient in orange oil (~90%). It is considered to be a powerful antioxidant that fights free radical damage and inflammation. There are no known side effects at low concentrations. Orange essential oil is used very often in cleaning products and in flavoring foods. The FDA recognizes it as safe for consumption (21CFR182.20), but this is only the case if you purchase a pure, unadulterated oil. Oregano essential oil is rich in the chemical components carvacrol and thymol, which are shared with thyme essential oil. 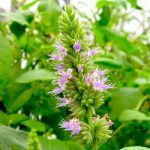 It is a powerful, plant-derived essential oil that is just as effective as some antibiotics but with no harmful side effects. The name “Palmarosa” was given to the plant because of its fragrance similar to rose oil. This oil is most frequently used for skin care because of its moisturizing properties although it also has many other therapeutic uses. Palmarosa essential oil has been rated as “Generally Regarded as Safe” (GRAS) for internal consumption by the US FDA. 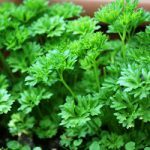 Parsley (Petroselinum Sativum) is one of the oldest herbal spices known to man. Parsley essential oil is derived from its dried seeds by steam distillation. Not recommended for pregnant women – may cause spontaneous abortion. Patchouli Essential Oil is extracted by steam distillation of the leaves of the patchouli plant. 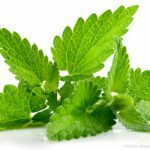 Peppermint oil derives from steam distillation of the fresh aerial parts of the flowering Peppermint plant – a hybrid of spearmint and water mint. Generally, peppermint oil is mostly recommended for its anti-nausea benefits and calming effects on the stomach lining and colon because of its ability to reduce muscle spasms. FDA lists this oil as safe for internal use in small amounts but there are some possible side effects like heartburn, flushing, mouth sores, headache. Petitgrain oil is extracted from the fresh leaves and young and tender twigs of the orange tree through steam distillation. Due to its remarkable aroma, this oil is widely used in the perfume and cosmetics industries, and also in food and beverages as a flavoring agent. 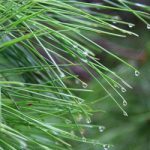 Pine Needle oil is extracted from the needles of the Pinus sylvestris tree by the steam distillation process. Ravensara essential oil is a powerful oil from the island of Madagascar. 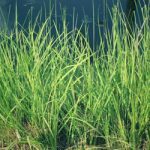 For centuries, locals used this essential oil as a medicinal solution to fight infection. 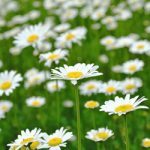 Roman chamomile essential oil is steam-distilled from the plant’s flowers. It is one of the most ancient and versatile essential oils. It should not be used during pregnancy. Rose essential oil is created through a process of steam distillation. Besides treating skin problems like acne or rosacea, this oil has been used for fighting depression and balancing hormones. 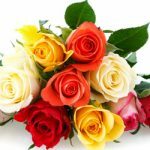 FDA lists Rose essential oils to be safe for ingesting in small amounts. 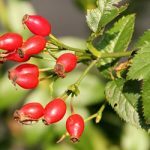 Rosehip Essential oil comes from the seeds of the Rosa Rubiginosa or Rosa Mosqueta. Rosehip essential oil is considered to be a dry oil because it quickly absorbs into the skin without leaving behind any greasy residue. 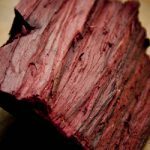 Rosehip Essential oil is usually extracted either through cold-pressing or supercritical process that preserve the maximum amount of fatty acids, vitamins, and anti-oxidants. Do not use Rosehip oil that was chemically extracted or steam distilled. 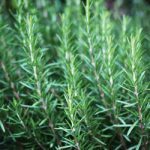 Rosemary is one of the most powerful herbs and essential oils on the planet. Rosewood oil is extracted from the woody matter of the rosewood tree and is widely used in the perfume industry. This essential oil is extracted by steam distillation of sage leaves. Being a nervous stimulant, this oil is not recommended for those with epilepsy or hysteria. It also contains camphor and camphene, which are toxic in nature and should be avoided during pregnancy. Sandalwood oil comes from the heart of the tree and consists of varieties of santalol molecules. Schisandra (Schisandra Sphenanthera) berry comes from a vine growing in China and eastern Russia. 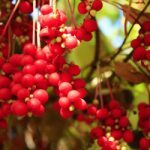 Schisandra has been shown scientifically to balance cortisol release and to prevent adrenal fatigue. It can increase energy levels and help focus the mind. Spearmint essential oil is often used in flavoring mouthwash and chewing gum and is gentler than peppermint oil. This essential oil is often added to certain types of perfumes. 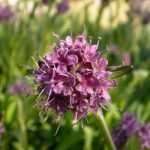 Spikenard essential oil is steam distilled from the roots of the plant called Nardostachys jatamansi which is native to the Himalayas. There are no known side effects. To be safe, do not use if pregnant or breastfeeding. Spruce oil is extracted through steam distillation from its needles. Tangerine oil is extracted by cold compression of its peels. 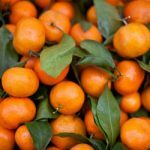 Botanical name (Citrus reticulata) for tangerines and mandarin oranges is the same. Besides phototoxicity, there are no known side effects. 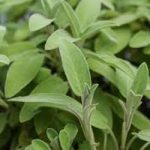 Tarragon Essential Oil is extracted by steam distillation of Tarragon’s leaves and flowering tops. 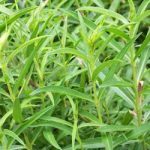 Tarragon Essential oil should not be given to young children and pregnant women due to the presence of estragole. 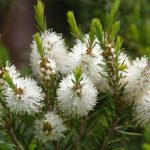 Tea Tree (Melaleuca) Essential Oil is extracted through steam distillation of twigs and leaves of tea tree. Tea tree oil can be used as a cure for almost all tropical infections and diseases. There are no known side effects when used externally. 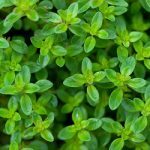 Thyme Essential Oil is extracted from thyme (Thymus vulgaris), a member of the mint family, commonly used in cooking, mouthwashes, and aromatherapy. 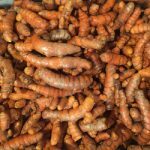 In South Asia turmeric has been used for centuries as a natural remedy to treat skin conditions including reducing blemishes, curbing acne and scars, and stopping facial hair growth in women. Turmeric oil is mildly phototoxic. Avoid direct light for a few hours after applying it to the skin. 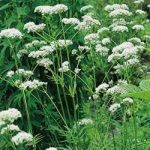 One of the oldest and most studied benefits of valerian essential oil is its ability to curb stress and improve the quality of sleep. 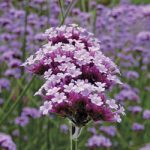 Verbena oil or Lemon Verbena is steam distilled from the leaves of this plant, which is indigenous to the rainforests of Chile. Lemon Verbena oil is phototoxic – avoid Sun and UV exposure after applying it to the skin. 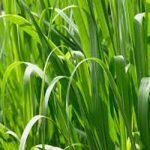 Vetiver essential oil is derived from the steam distillation of the plant’s roots. It has a strong herbaceous and spicy initial aroma. 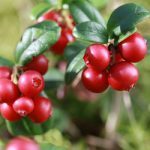 Wintergreen Essential Oil is popular among the people suffering from rheumatism, arthritis, gout, and pain in their bones and joints. The essential oil of this plant is extracted by steam distillation of its leaves. Wintergreen Essential Oil is not recommended for internal consumption without doctor’s supervision. Wormwood Essential Oil is extracted by steam distillation of its leaves, twigs, and flowering tops. 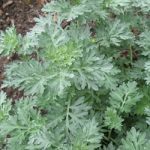 Wormwood is often used to eliminate intestinal worms, especially roundworms and pinworms. Wormwood Essential Oil is poisonous and is basically a neurotoxin. With all these warnings, there is an alcoholic drink with wormwood called Absinthe which was banned in the US from 1905 to 2007. Now, it is legally manufactured and sold in the US without thujone – a neuro-toxic component. Always consult your doctor before considering using or taking any supplements containing Wormwood! Yarrow Essential Oil is extracted by steam distillation of the dried plant. 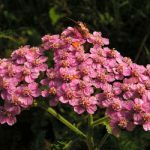 Yarrow essential oil may show neurotoxic effects. 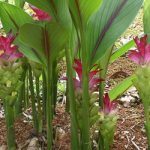 Zedoary Essential Oil is obtained from the rhizomes of Curcuma Zedoaria through steam distillation. It is one of the most widely used ingredients in the perfumery and food flavor industry.